When you are buying your new home we would always recommend that you have a Full Structural Survey, also known as a Building Survey, as this is the Rolls Royce of Surveys. 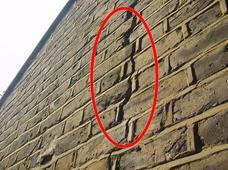 A crack such as that shown in the photo below could indicate structural problems in a property. Our experienced surveyors have spent decades perfecting our surveys and surveying techniques. We have a unique database that helps our surveyors identify problems and in addition to this we of course only use qualified Surveyors who are members of the The Royal Institution of Chartered Surveyors (RICS) and The Independent Surveyors and Valuers Association (ISVA). If you require a Building Survey or a Structural Survey on a home, house or commercial property we believe as Building Surveyors we have a wealth of experience and expertise that we can utilise to help you. We are more than happy to send you examples of our building survey reports that we have carried out on similar properties to yours. We really believe that you should see what you are getting in the form of an example Survey before you instruct a surveyor. What is more is that we are so confident with our building surveys that we believe that there is no other comparable survey available in the UK property and surveying market. Please see our articles below for further information. 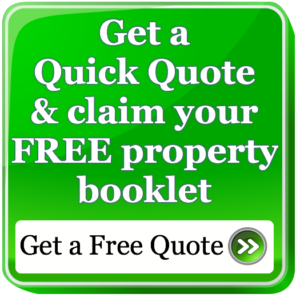 Please Free phone 0800 298 5424 for a friendly chat with a surveyor.